I can't live without shampooing my hair every day. It's been my daily routine to wash my hair once a day. Hair care products have been very important as they play huge roles in maintaining my soft, silky and smooth hair. I am the type of girl who will try out any type of hair shampoo whenever there's any good quality shampoos. Unfortunately some of the hair care products will only give you a short term effect which I do not feel happy about since I spent so much money on them. Recently I came across a new brand of hair care products in the market which really attracted my attention. 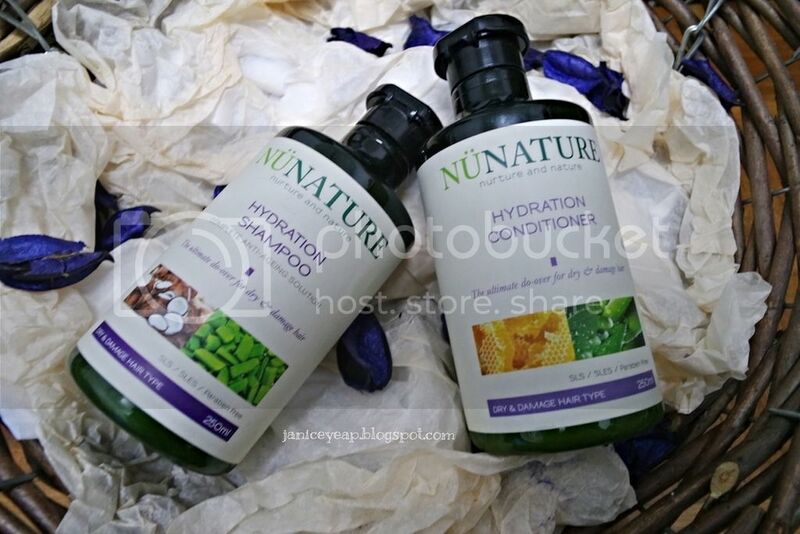 Introducing Nunature Hair Care products which is formulated to suit all types of hair concerns. 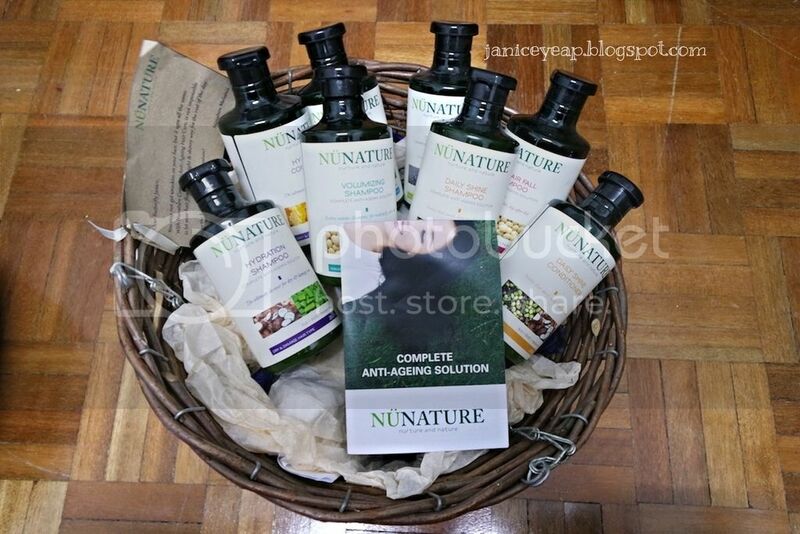 Nunature offers an all encompassing range of products, formulated to suit all types of hair problems. With 6 shampoos and 2 conditioners, you can actually mix and match for a tailor-made hair pampering experience. Let me start off with Daily Shine Shampoo and Conditioner. This Daily Shine shampoo contains coconut oil and olive oil which is good for hair. It has ultra mild formula which is suitable for everyone in the family, including children. It gently cleanses and provides hair with its daily dose of proteins leaving my hair more healthy and manageable. As for the Daily Shine Conditioner, it enhances the shine of the hair and keeping my hair silky-smooth and tangle free. If you have dry and damaged hair, you should try this Hydration Shampoo and Conditioner. If your hair are always exposed to chemical treatments, you should go for this. It helps to deliver a doze of extra moisture and nourishment to keep my hair strong, soft and manageable. As for the Hydration Conditioner, it is an intense conditioner which repair, regenerate and protect hair from future damage keeping it healthy. 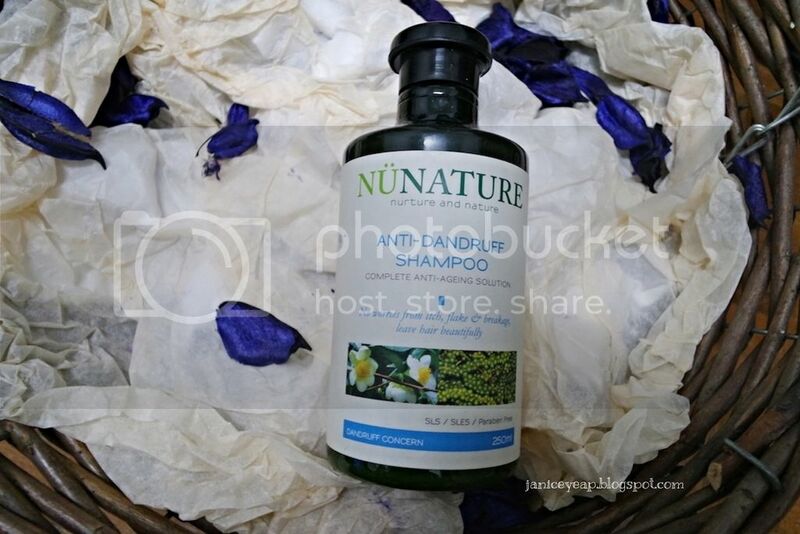 Nunature also comes with a 2-in-1 shampoo which cleanses and conditions in one step. It makes your hair silky smooth and shiny while providing it with its daily dose of proteins. I truly love this product when it comes to me being lazy. Sometimes I want a quick hair wash and I will definitely use this as I can use this 2-in-1 shampoo alone without having to put conditioner after my hair wash. This is a product which you must try! 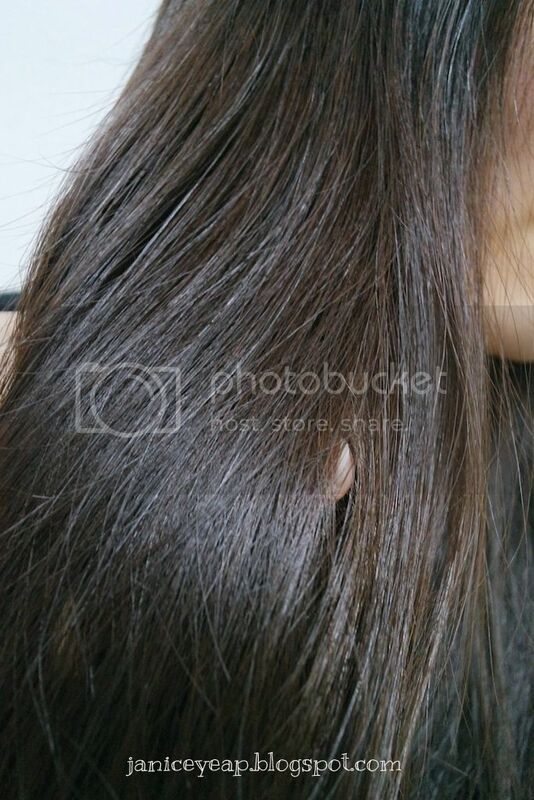 If you are concerned about dandruff, do not worry about it. Nunature also has a solutions for dandruff hair. This Anti-Dandruff Shampoo balances sebum production while improving hair and scalp health by activating the stem cells. No worry about itching, flaking or breakage and your scalp stays clean and soothed. One of my sister's favourite shampoo by far from Nunature brand. She has dandruffs on her hair and she noticed the significant results on her hair after using it for almost two weeks. She loves how it smells great on her hair and at the same time prevent the dandruff on her hair. 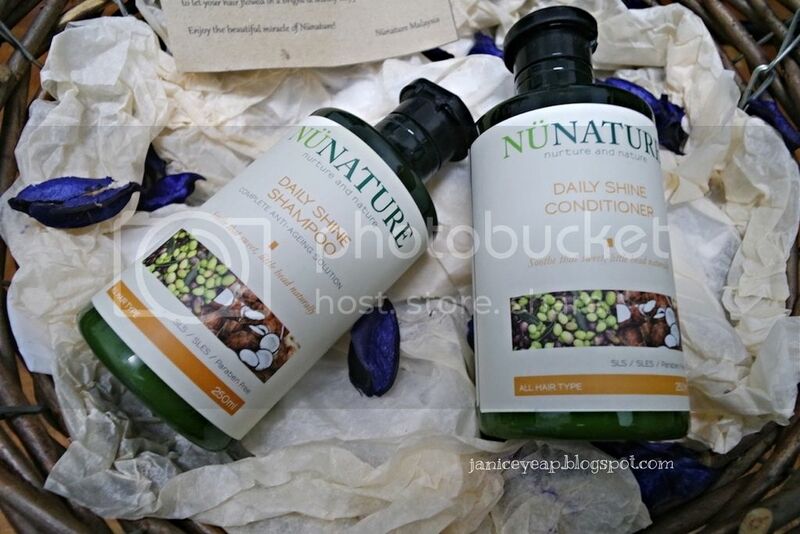 She will absolutely go for this Anti-Dandruff Shampoo by Nunature again! 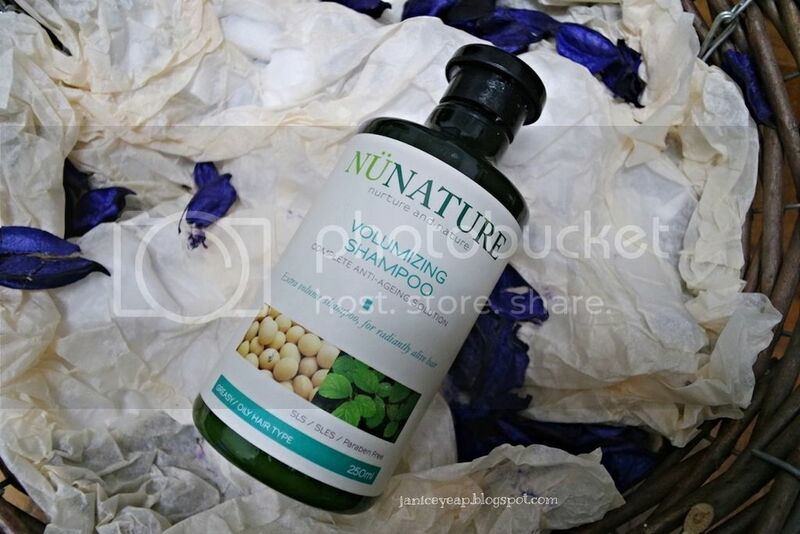 Voluminising Shampoo is another type of shampoo that you should try if you have oily and greasy hair. It controls excess oil production and also promotes hair growth leaving your hair looking and feeling very lively and healthy. I tried this and I love it. Hair started to look healthier than previous. Best of all, it does not make my hair feeling dry which I love it. 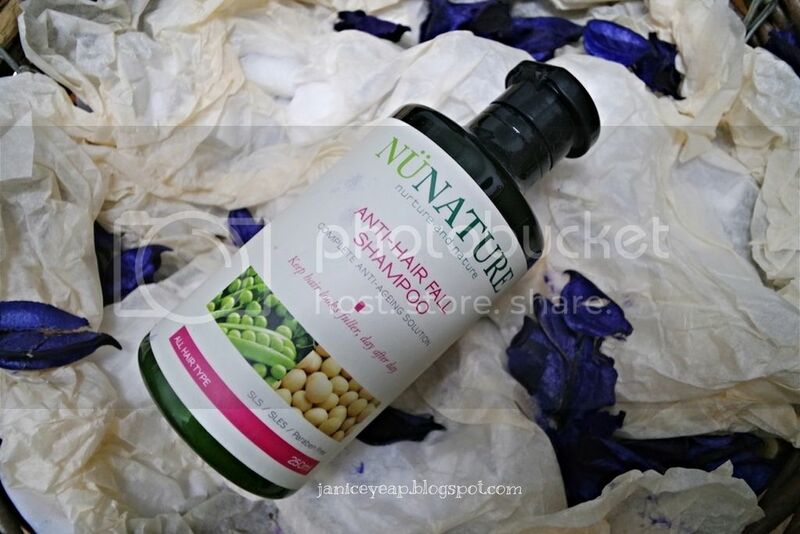 If you are concerned about hair fall, then you should try Anti-Hair Fall Shampoo from Nunature. It boosts hair and scalp health by activating the stem cells other than delivering nourishment to the roots and improves its texture to reduce hair fall. With the content of peppermint oil, it has soothing sensation on the scalp making your scalp feel refreshed each time after the hair wash. Overall, I love all the range of Nunature hair care products. You can't imagine how much these shampoos create shine and moist to my hair after a few months of using them. You may refer to the photo of my hair after a few months. 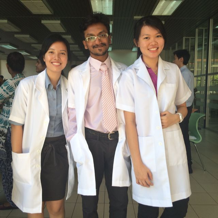 Let me be frank with you guys. I do not go for hair treatment in the salon. 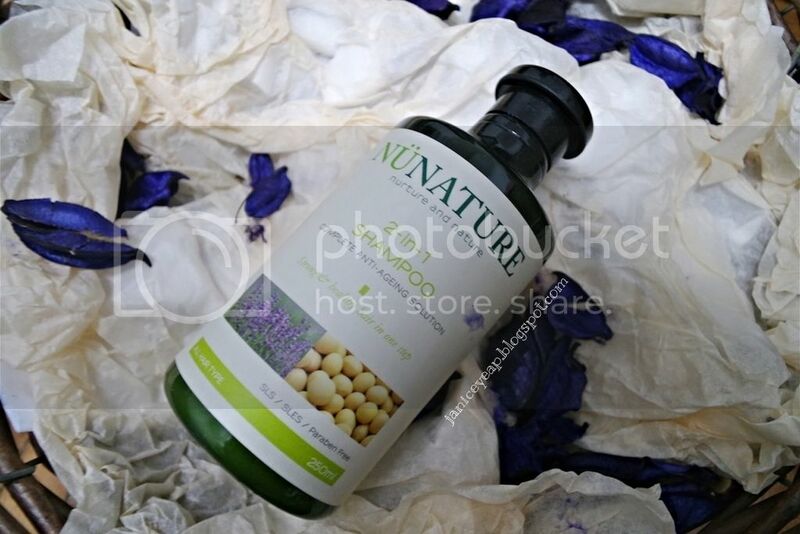 All I ever do to my hair is putting on hair mask once a month and put on some hair serum to my hair every after hair wash. With a good shampoo from Nunature, I can even skip on putting hair serum once a day because it contributes shine and moisture to my hair. 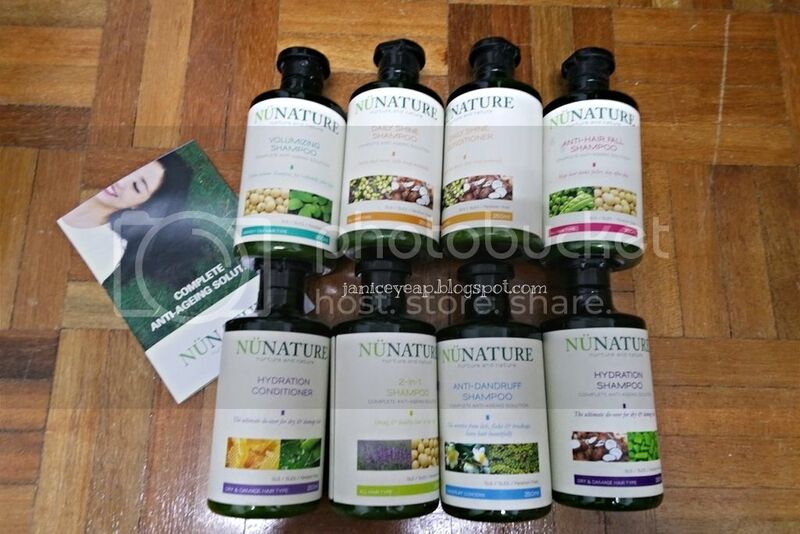 For more info on Nunature Hair Care products, kindly visit their Facebook page: https://www.facebook.com/nunaturemalaysia.